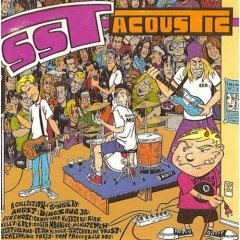 I found the SST Acoustic compilation in a cut-out bin (remember those?) at Lakeside Mall outside of New Orleans. Cut-out bins were especially inviting to the teen music enthusiast I was in 1992. I spent all my money from my after-school job on compact discs, which we were told would last forever. I also remember finding the first Sonic Youth album on cd, with the SST label, before Sonic Youth sold their back-catalogue to Geffen. Both of these records were instrumental to me finding my way in the “indy” or “alternative” scene throughout the 1990s. I can’t express how much SST Acoustic turned me on to good music. Sadly, I had most of the cds I worked so hard for stolen in 1995 by a bunch of drag rats, an affectionate term for the homeless punks who lived on Guadalupe (the drag), in Austin. I thought they were my friends! Getting high with strangers did not make said strangers immediate friends. It was a hard lesson for this bear to learn. 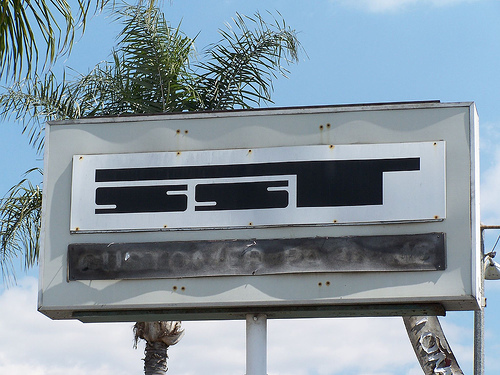 SST Records was founded by Greg Ginn, a ham-radio enthusiast, who began at 12 years of age selling surplus WWII-era radio equipment by mailorder, out of his home in Long Beach, CA. 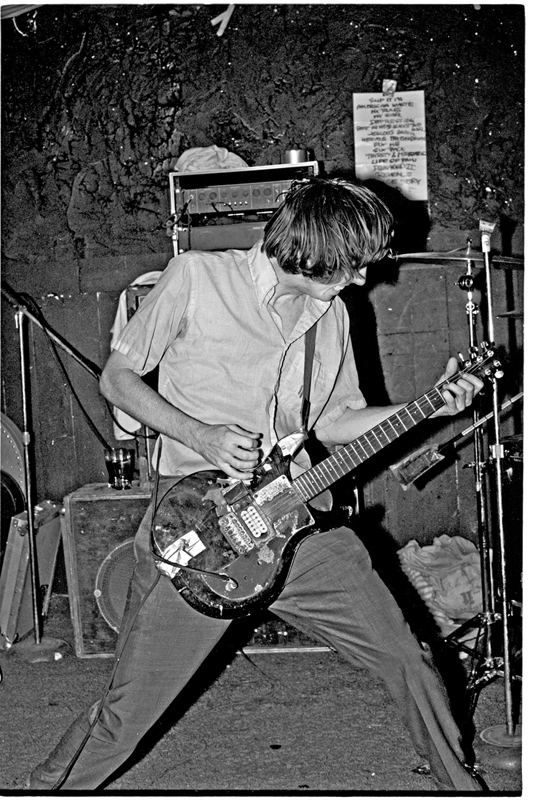 SST stood for “solid state tuners.” The picture above is not of Greg Ginn, but I’m sure he would have made fast friends with this kid. 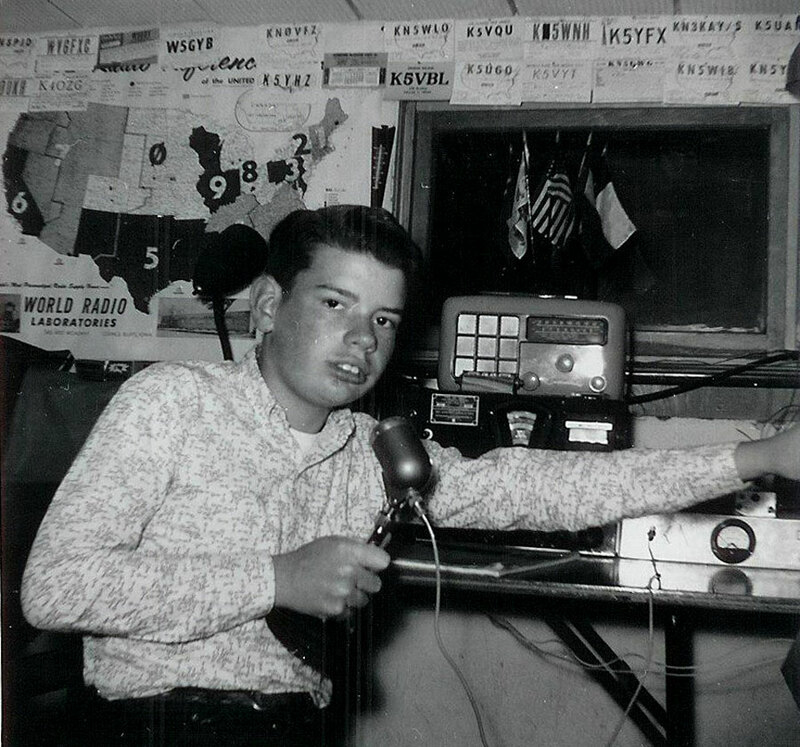 Naturally, Ginn the amateur radio enthusiast grew into a punk. Ginn formed the band Panic in 1976. Unable to find anyone to release their songs, he took it upon himself to release the EP. The band, now dubbed Black Flag, put out the first SST release Nervous Breakdown in 1979. The rest is, as they say, history. 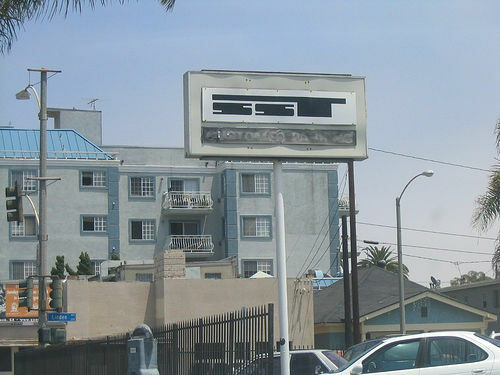 SST became the home to The Minutemen, fIREHOSE, Sonic Youth, Saccharine Trust, The Dicks, Meat Puppets, Husker Du, Angst, Bad Brains, Screaming Trees, Negativland, The Descendents, Dinosaur (Jr.), Soundgarden… the list goes on. SST grew as a label, but due to inability to pay their artists, promote, or distribute as much as major labels, their roster thinned out in the latter part of the decade. Other indie labels, like Sub-Pop, which benefitted from the surge of grunge in the early 90s, far outperformed SST, which was essentially surviving off reissues of the label’s early successful bands. The Minutemen, known for their short and sweet message songs, offer this sad one off their last album. When frontman D Boon died in a car accident, Mike Watt and George Hurley formed fIREHOSE. 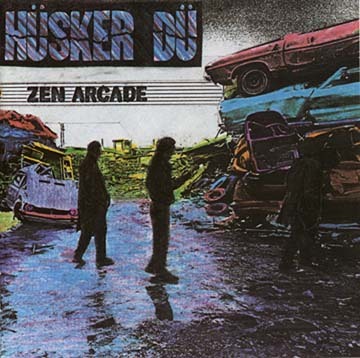 This Husker Du song made it on many of my mix tapes. How many break-up tapes across America do you think this song ended up on? 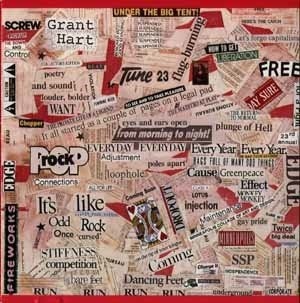 Grant Hart, formally of Husker Du, released some pretty rad solo stuff. “The Main” appeared in a slightly different version on the album Intolerance. This is a song about Hart’s heroin addiction, with references to Thomas De Quincy (who wrote Confessions of An English Opium Eater in 1822), and Christiana, former name of Oslo and setting for Knut Hamsun’s Hunger, a first-person narrative of a deluded, starving artist at the turn-of-the-century. The Hamsun reference might be a stretch, but that’s how I’ve always read into it. I think he always mentions Pigalle, the arrondissement of Paris famous for the red-light district popularized by Toulouse-Lautrec’s artwork. 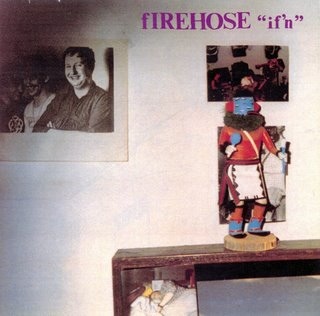 The poster on the wall for the cover for fIREHOSE’s “if’n” is of label-mates Husker Du. The song “In Memory of Elizabeth Cotten” is tribute to the actual North Carolinian folk singer Elizabeth Cotten, who had recently died. Here she is singing her song “Freight Train” with Pete Seeger. 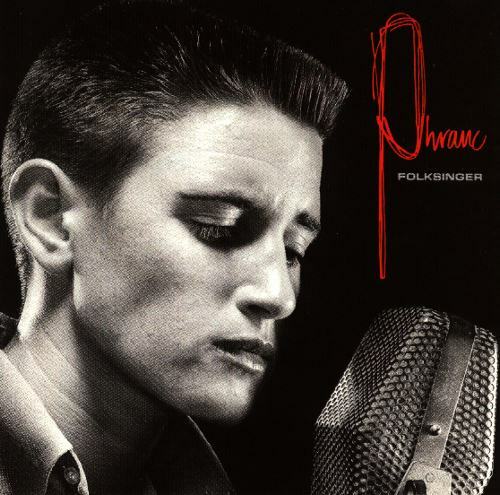 Singing background vocals is lesbian singer/songwriter Phranc. Sadly, the original SST store is no longer, but you can buy these albums at the online SST Superstore, which is here. They have pins and stickers and t-shirts as well as music. I always wanted an SST t-shirt. It should be noted that Gregg Ginn is brothers with the artist Raymon Pettibon, who was an original member of Panic, and did much of the artwork for Black Flag and other SST bands. 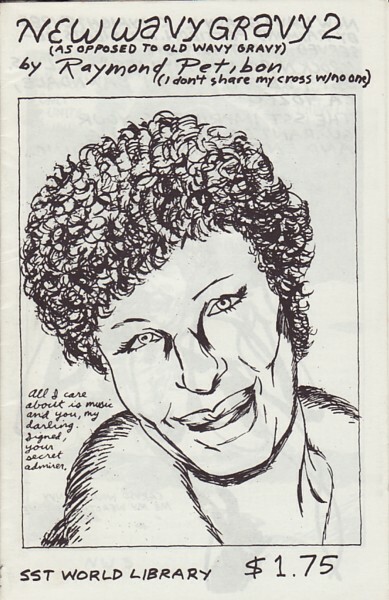 Below is a Pettibon zine released by SST Publications, before Pettibon added another “t” to his nom de plume. 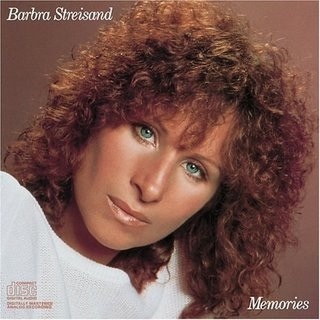 Is this a portrait of Barbra Streisand? 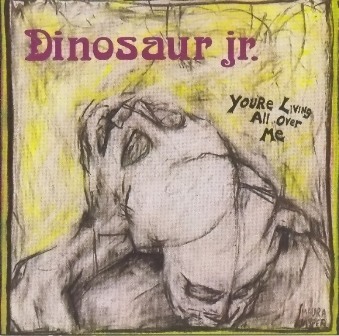 This entry was posted in Uncategorized and tagged Black Flag, Dinosaur Jr, Elizabeth Cotten, fIREHOSE, Grant Hart, Greg Ginn, Husker Du, Minutemen, Phranc, Raymond Pettibon, Sonic Youth, SST, SST Acoustic. Bookmark the permalink. Illuminating background to SST, Gentlebear; and great supporting pics + songs. I didn’t know about Greg Ginn and Panic previously – though of course, like most people I’m familiar with the label – so thanks for providing the detail. I don’t drop in to comment nearly enough, but your posts are always worth it when I do. Hope, too, to see your friend at the Singing Hand making a comeback after that hard drive crash. The same thing happened to me a few years back and I was propelled back into the Stone Age for longer than I care to remember. Appreciate it a whole lot with regard to giving individuals with a really spectacular likelihood to learn to read essential testimonials using this web site.